BusVic conference organisers have experienced a last-minute influx of registrations for next week’s bus event, which is now fully sold out. Event organisers received hundreds of registration yesterday alone. BusVic Executive Director Chris Lowe yesterday announced 1,500 delegates had already registered for the event. "In the last 72 hours we have had an extremely late and massive burst of operator registrations and we now have to put the full sign up," Lowe says. "We have 1,500 delegates and we just can’t put any more in." But despite the event being sold out, registrations were still flowing in yesterday afternoon. "We don’t really have any way of turning them off, so we have just got to see what we can do," Lowe says. "But it is a sell-out. We sold the last few this morning." 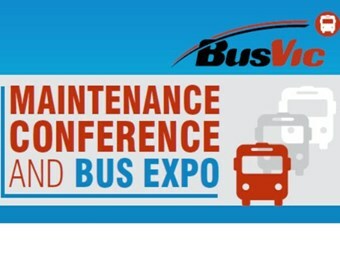 Lowe says one of the main attractions of this year’s BusVic Maintenance Conference and Bus Expo, to be held July1-2 in Melbourne, has been the event’s four streams of content. "We have never had four conference streams before and it really has been a big carrot that has been dangled in front of the industry and they have taken the carrot and registered for the event with gusto," Lowe says. Unavoidable late changes to the event, such as Labor heavyweight Anthony Albanese cancelling plans to attend, have failed to subdue enthusiasm. Albanese is now the Federal Government’s Deputy Prime Minister, following the recent leadership upheaval. "His duties are changing and he can longer be in Melbourne next Monday and that is perfectly understandable," Lowe says. will officially open the event at 9am Monday, before industry award presentations. Cricketing legend Steve Waugh is also locked in as a key note speaker. literally jam-packed, event," Lowe says. Last year’s event was attended by about 1,500 delegates, and featured John Howard, Leigh Matthews, Kate Ceberano, Ian Moss, Vince Sorrenti, and Will Anderson.